At AIDS project Worcester, Working for Worcester's main focus was on helping better accommodate their food and nutrition services program. The need was clear, the center needed a food pantry. We took a closet like space and constructed pantry shelving around the perimeter of the room. The room is now a full pantry that the center is using for its nutrition and food services. 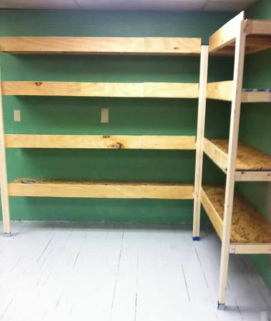 The volunteers, made up of some local contractors donating their time and a few van fulls of college hockey players, were a carpentry force, constructing professional shelving. 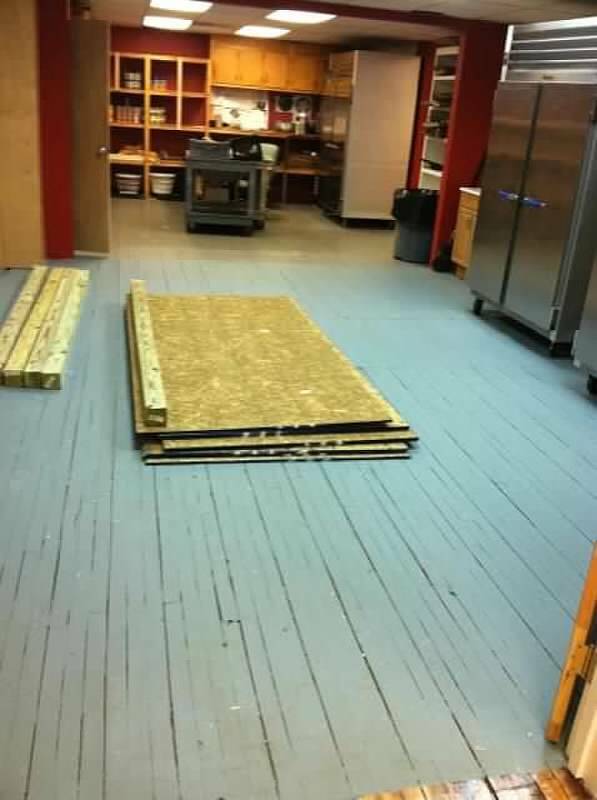 The volunteers also painted the room and the floor. Outdoors, the volunteers helped out with maintenance of the community garden plots. The shelter serves the greater community of Worcester with the programs, but specifically the HIV+ population in the city, which is the largest HIV+ population in New England. WforW is proud to have been able to work with the shelter, which focuses on promoting health and wellness across the Worcester community. Cite manager Meghan Casey planned and coordinated all aspects of this initiative at AIDS Project Worcester. To learn more about Meghan and the rest of the Working for Worcester managing team, click here.